**Low income/Low-Middle countries are defined according to the World Bank Country Classification. Click here for more information on the Country Classification data according to the World Bank website. **** Definition of ECR: 1). Working in relevant field 2). <5 years post-awarding PhD. Require a letter of support from supervisor to be submitted. 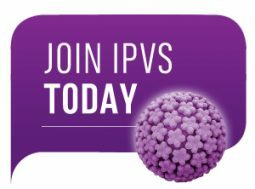 ***** IPVS Members who are mentoring pre-doctoral or post-doctoral trainees (who are also IPVS Members), can benefit from the combined mentor-trainee special rate for the 2 registrations. The details of both the mentor and the trainee should be provided in one registration. Note, in case of cancellation at any stage, Bank transfer handling fee (30 USD) will not be refunded – applicable to Bank Transfer payments only. For information please see the Visa Information page here.